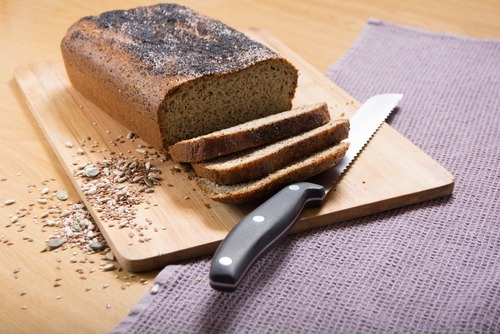 What Is High Protein Bread? Is It Something You Should Be Trying? 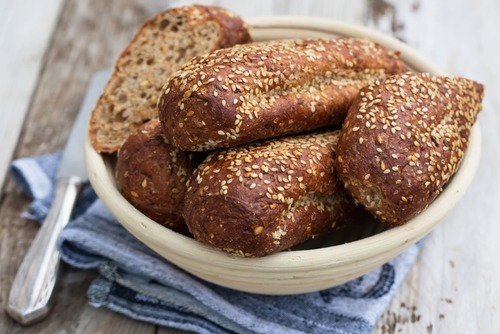 27 Oct What Is High Protein Bread? Is It Something You Should Be Trying? When most of us think of foods high in protein, things like chicken, turkey, beef, fish, yogurt are usually things that first come to mind. Some vegetables and grains are decent sources of protein as well, yet they usually fall short when compared to other options out there. 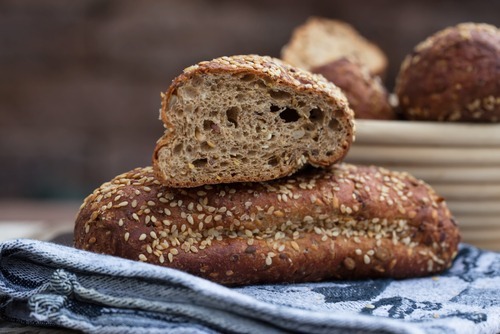 High protein bread is just as the name suggests-this bread offers more protein per serving than your typical bread, and has the added benefit of being less calories as well. This has made this type of food a favorite among athletes and those of us who are conscious about our weight. Protein helps us to lose weight in two major ways. First eating protein helps to satiate hunger, which in turn causes us to eat less calories in the long run. Less calories consumed amounts to less fat accumulation, which as we know helps us to lose weight. Muscle itself requires a tremendous amount of energy to run even at rest, which also helps us to lose weight. The more muscle mass we put on the more energy we need to run it so to speak, and thus the more calories we burn as a result. The ability of muscle to burn so much energy and thus help with weight loss is one reason why so many men seem to have an easier time losing weight than women. Men naturally have more muscle mass than women and have an easier time putting on more mass thanks to testosterone, giving us reason as to why this is. One of the biggest threats to our health as we age is muscle atrophy, which affects our mobility and ability to carry out everyday tasks if not kept in check. Our muscle mass decreases naturally as we age due to the body’s inability to digest and synthesize material including protein, making it important for us to eat plenty of protein to make up this difference. Most of us aren’t eating nearly as much protein as we should be, as it takes much more to maintain our muscle mass than we think. For example a man looking to just maintain their muscle mass should be eating at least 0.8 grams of protein per their body weight, which would amount to 160 grams of protein per day for a 200lb pound man. Another major health threat we face as we age is reduced cognitive functioning, and all the diseases related to it. The brain is the organ of the body that requires the most energy because of all the different processes that are going on in there, hence why protein is so important to the health of our brain. It isn’t so much the protein itself that is helping here, but the nutrients that come along with it. Foods high in protein also tend to be high in B vitamins, similarly to how vitamin A is commonly found in certain fats. Vitamin B is important to the health of our brain because of the role it plays in certain processes that occur within the brain. These process mainly involve metabolic functions, essentially meaning that vitamin B helps to “ramp up” the brain’s processing ability. Studies have shown that vitamin B supplementation through pills or diet slows the rate of atrophy within the brain. Shrinkage of tissues within the brain are huge contributing factors to diseases such as Alzheimer’s which revolve greatly around this reduced cognitive functioning.